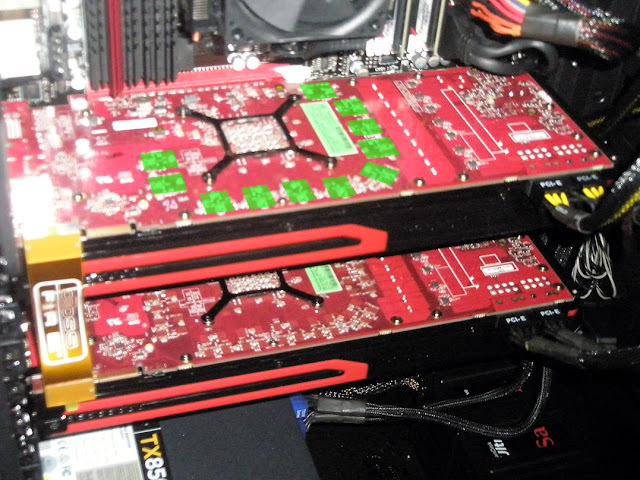 Is this the first time after five years that AMD or lets say AMD/ATI put more than 256-bit wide memory interface bus back to its graphic cards? Yes this could be true after we analysed some leaked pictures showing the upcoming 28 nm Radeon HD 7900 "Tahiti" engineering sampler today at beyond3d forum. we can grab more info from the pictures, the card use 6+8 pins configuration but it can require dual 8 pins in the future depending on the brands manufactures .